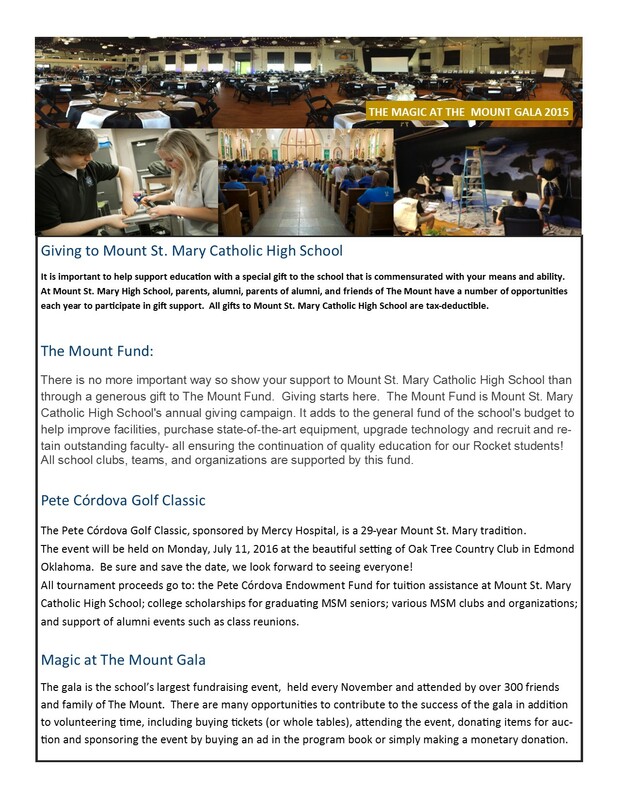 Each year Mount St. Mary Catholic High School counts on the generous support of our families, alumni, and friends to support the mission of the school. There are many opportunities for our constituents to make a financial gift that can make a difference for our students and our school. Click here to make a gift to Mount St. Mary Catholic High School.